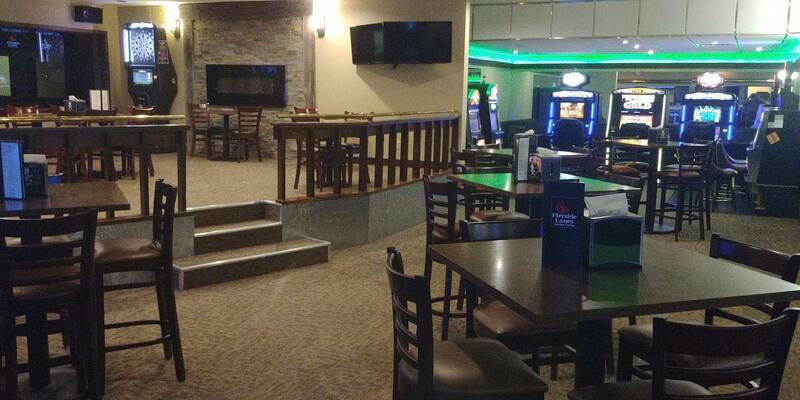 The Lounge at Fireside Lanes is a full service bar and casino. It is not your typical “Bowling Alley Lounge”. 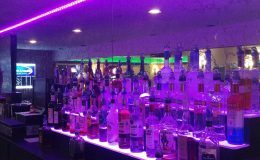 Our Lounge offers a clean, friendly, and relaxing environment with some of the friendliest staff around. 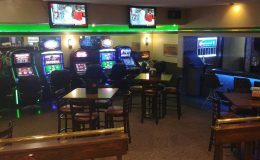 The casino offers an assortment of gaming that are fun and exciting. 15 of the most popular Poker/Keno games gives you plenty of options to choose from. 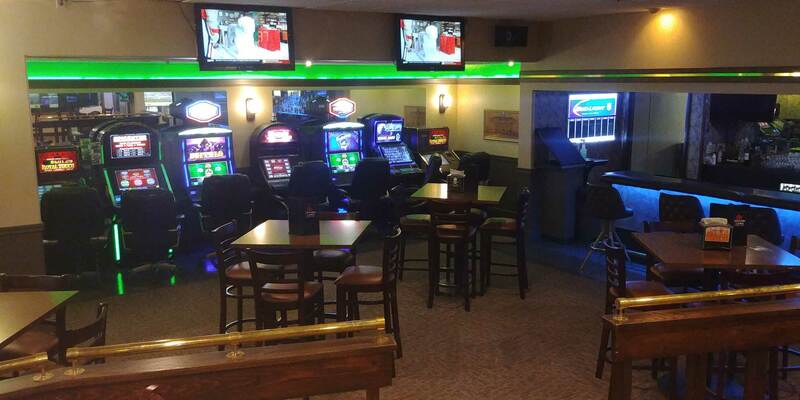 If you are not a Gambler, we also have an electronic dart board and the newest Golden Tee golf game. 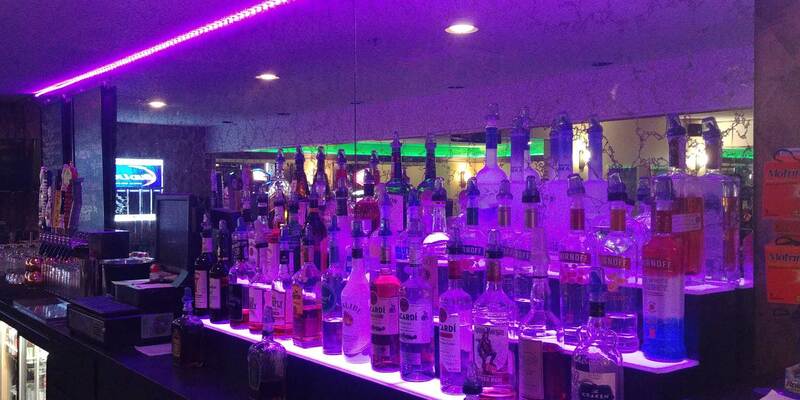 Our lounge now offers some of the best drink specials in town. Our lounge has some new things to offer. 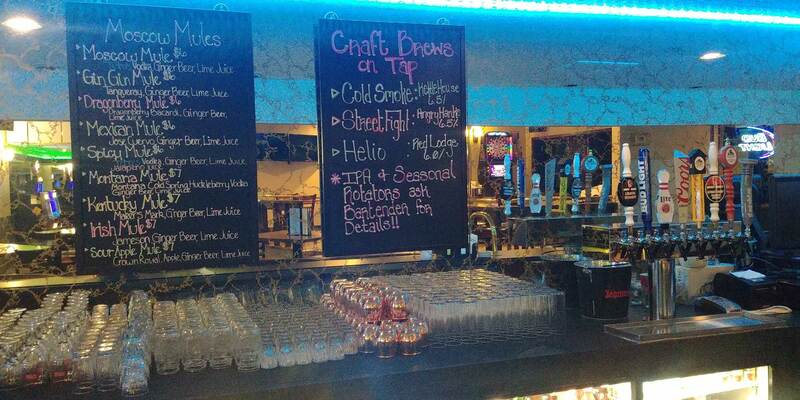 Our newly remodeled beer taps now offer our guests a total of 8 draft options, Including 5 local microbrews on tap. We also are proud to carry several Montana Made Spirits if you prefer buying local. And don’t forget to try one of 9 Moscow mules we have to offer, the Dragonberry Mule is our most popular option. So stop in and give it a try. Happy Hour is from 4pm to 6pm & 8pm to 10pm. 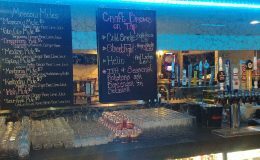 Check out our Nightly drink specials!!! Snacks? Lunch? Dinner? We’ve got you covered! 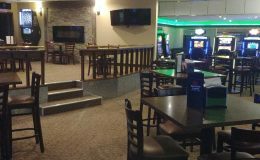 Babs Place is snack bar and has delicious burgers, hand cut fries and many other awesome snack items. We serve Pepsi ® products with stacks of nachos or onion rings piled high. Try Bab’s Chicken Strips… a Fireside Lanes favorite. If you are looking for a little music, try our TouchTunes jukebox. Music always brings people together and we have Hundreds of thousands of fully licensed songs, including all the classics, the latest hits, and new discoveries to choose from and share.